Dinner ($20 donation required), 6 p.m.
Dessert only (free) 7 p.m. 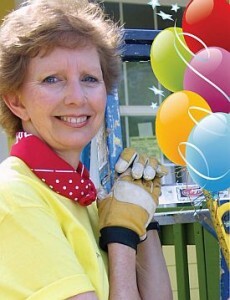 However, donations to Linda’s $75,000 birthday fundraising campaign to help families in need will be accepted. This will be the next-to-last day of our April Auction, an online fundraising campaign in Linda Fuller’s honor, and we’ll have some of the available items on display.